Unsplash started in 2013 with only 10 photos, but it soon appealed to the community of photo enthusiasts who wanted to freely distribute their photos. 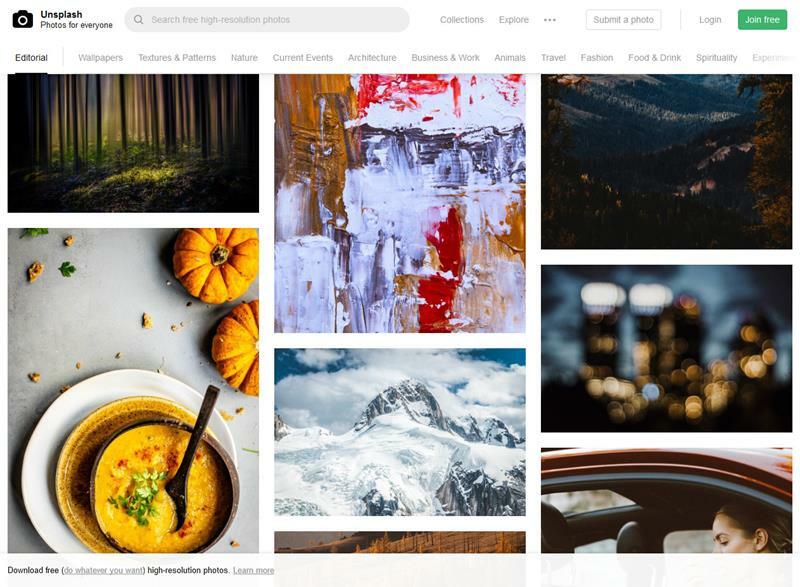 It’s now offering a huge collection of high-resolution photographs, licensed by the creators-artists who own them, for both personal and commercial use. The process is quite straightforward; you can download any photo you want. In each photo, you’ll see the author’s name and a download option. There are several categories depending on what you are looking for, while the search option is great should you wish to find something more specific. You can, of course, participate in this great community by creating an account and uploading your own photos. 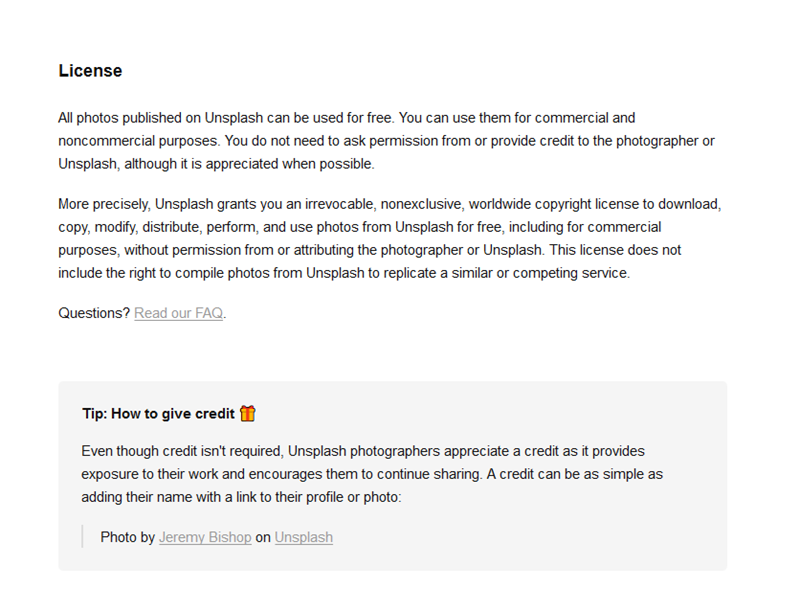 Not only does the license provided by Unsplash allow you to download a photo, but it also lets you edit or modify it however you want. If you want to share a photo, it isn’t necessary to give credit to the creator; it may still be a good practice nevertheless. Unsplash is perhaps the largest community of generous photographers. Nevertheless, the idea of freely publicizing these photographs may have some underlying risks. For example, you’ll notice that several photos can display someone’s face. Although the artist-photographer may freely distribute this photo to others, what’s missing is the corresponding license from the person it depicts (Model License). Of course, not having to give credit to the creator doesn’t mean that you can try to pass off as one; this could potentially get you into trouble. Last but not least, claiming that you identify with the person depicted in the picture will definitely make things take a turn for the worse. Having said that, Unsplash is certainly providing a great service, breathing new life into the otherwise commercialized Internet.